Coquialla highway glowing at sunset. 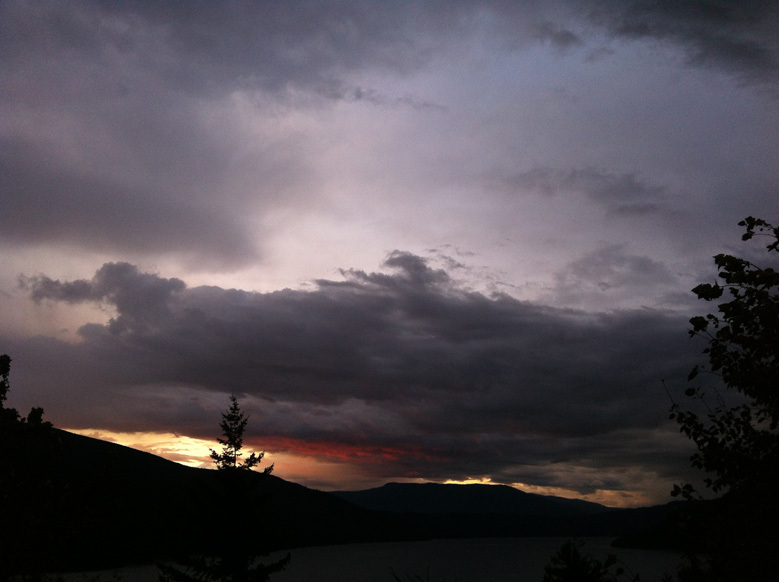 We watched the Shuswap being painted red with a brush made of fire. 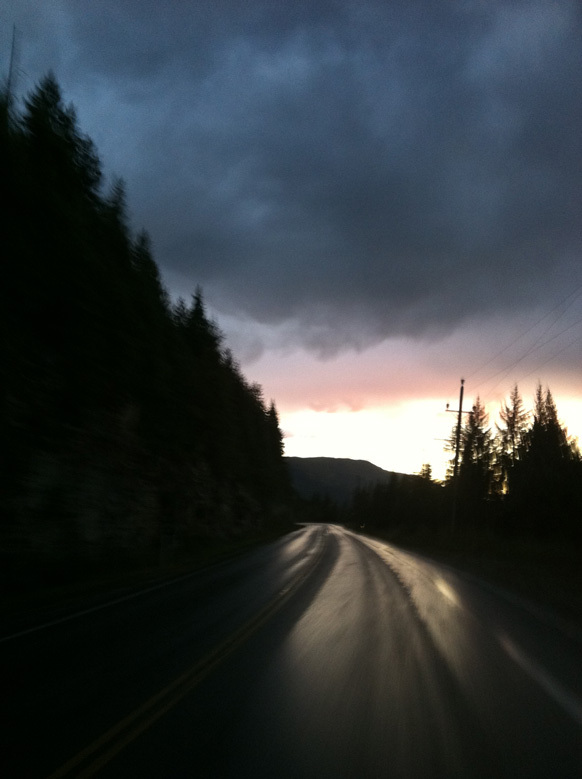 The winding mountain drive took fourteen hours (one of those reserved for a smouldering vehicle on Hwy 1). It was completely and utterly worth it. Now if we were heading east into the abyss of Saskatchewan’s beige suit of wheat, this little girl would be singing a different tune. Vancouver adventure part one commences.